May is finally here! The semester is wrapping up and I finally finished one of my projects. My accessory turned out fabulous, but I need some energy to get started on this new project! 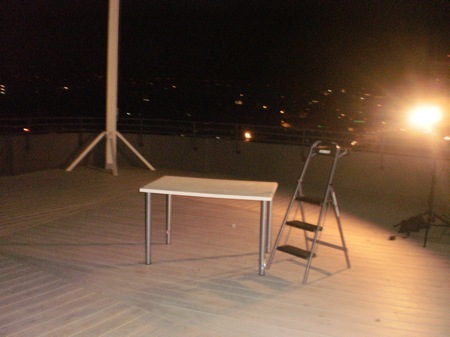 I’m already scared of heights, so it was pretty difficult for me to stand on top of a table on a roof. Nevertheless, I conquered my fear and rocked out! Our outfits were awesome; ripped jeans, sequined tops, silver platforms and the photographer brought electric guitars to use as props. The weather was extremely windy and cold, but I think that it added to the shoot. Can’t wait to see how these images turn out!